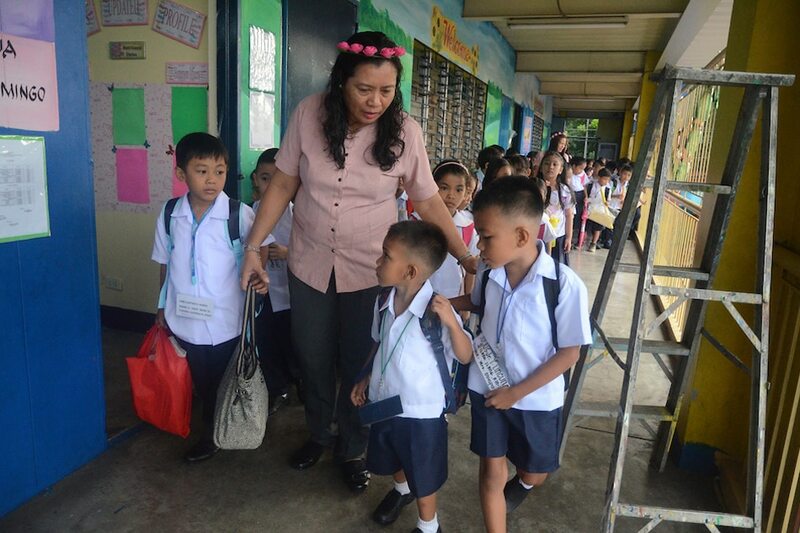 MANILA – While public school teachers have yet to be granted either their much-coveted salary hike or performance bonus, they might be having happier holidays with a P3,000 bonus in celebration of the Department of Education's (DepEd) anniversary in December. In a circular dated November 6, the DepEd issued guidelines for the release of an anniversary bonus for 2018, pursuant to an existing administrative order allowing government agencies to grant such to its employees. DepEd Secretary Leonor Magtolis Briones said the agency will release a total of P2.8 billion in bonuses for its personnel, which include public school teachers and staff. "The anniversary bonus, definitely we are giving it. That will cost us, sus P3,000 lang (just P3,000), but that considering the huge army we have in DepEd, that will already be P2.8 billion," she said in a press conference on Friday. DepEd Order No. 047 or "Guidelines on the Grant of Anniversary Bonus" was issued as early as possible to facilitate the release of the funds, said Annalyn Sevilla, DepEd’s Undersecretary for Budget and Performance Monitoring. "So it's P3,000 per employee. Finance personnel and the regional directors were directed to process the payment," she said. Briones said the circular was released early as cascading the order at the expansive department may take time. "We are more than 800,000 employees. It will take time para mababa siya talaga sa mga tao (for the order to be cascaded to personnel). Kaya nga ngayon pa lang, ibinaba na namin [ang circular] (That's why we issued the circular this early)," she said. While the National Historical Commission of the Philippines identified December 20, 1863 as the establishment of the modern public education system in the Philippines via a Royal Decree by Queen Isabella II of Spain, an administrative order issued by former president Fidel Ramos identified June 23, 1898 as the founding date of the DepEd, the circular said. Aside from the bonus, Briones also said the department is working on increasing the teachers' so-called "chalk allowance" or cash allowance to P5,000 from P3,500 by next year. What's the new net take-home pay of teachers in 2018?